Are you ready for Thanksgiving yet? Me neither. 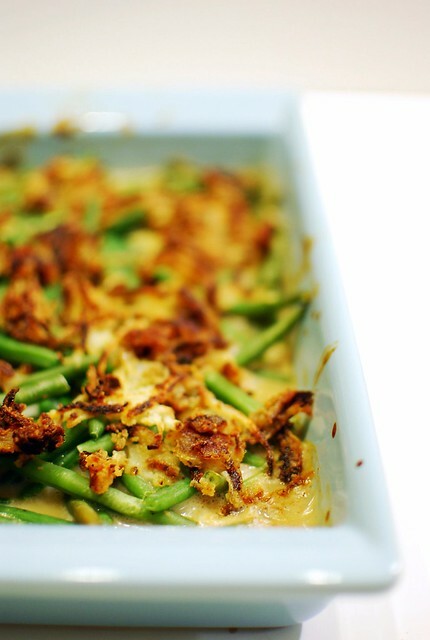 The good news is that I made green bean casserole. This is easy, if you can find the gf condensed soup. I've bought it at Wholefoods, but you can buy it online as well. Pacific Natural Foods makes a gluten free one, it runs about $3 a box, so it's a special treat. I made the crispy onions myself, I haven't found a gf store-bought version. Preheat the oven to 350. 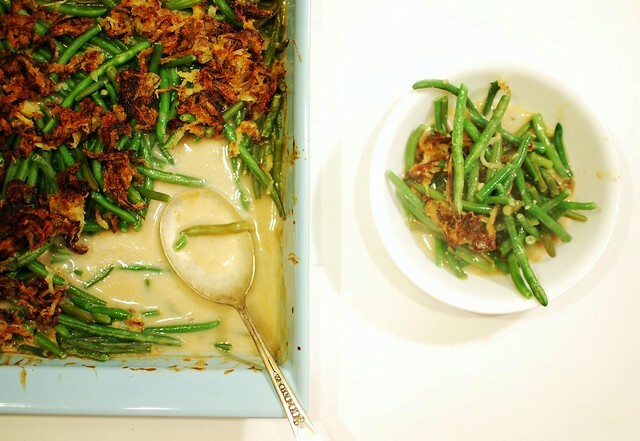 Spread the green beans in the casserole dish. Mix together the condensed soup, milk, salt and pepper (a pinch of each), paprika and soy sauce. 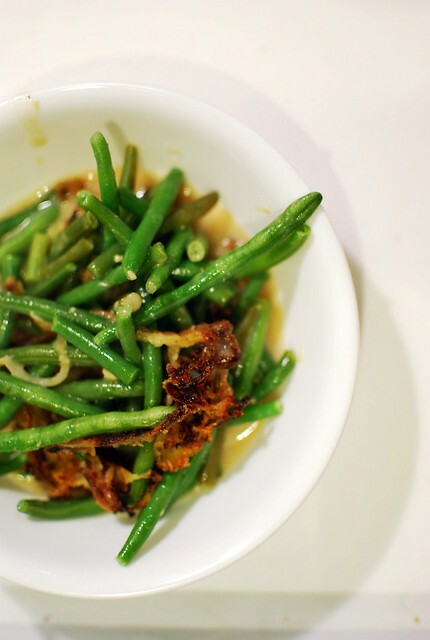 Pour over the green beans. Toss the onions in the flour, then fry in the olive oil until starting to crisp. 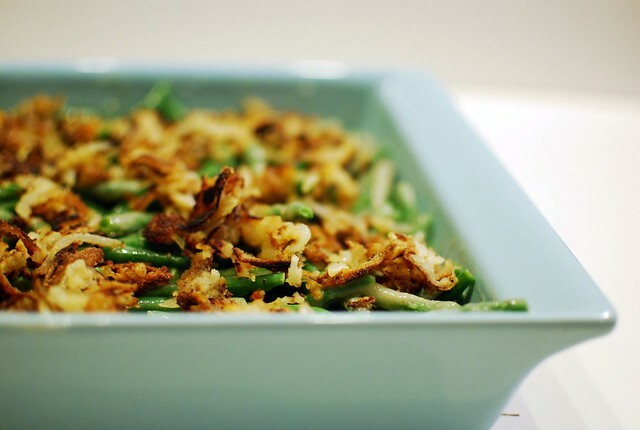 Sprinkle the onions over the top the the green beans, and bake for about 45 minutes until bubbly and browned. Oh, this looks so good! I love that you fried your own onions! this is my favorite thing about thanksgiving! Progresso cream of mushroom soup is GF and much cheaper than Pacific! oh my goodness - last night my husband and I were just wondering how to turn this into a gluten-free food! Thanks for the recipe! I posted a link to this on my blog! I'm making this for our Thanksgiving feast 2010! Thanks for tweaking this holiday classic gluten-free! Hugs to you and Alex!